No matter where you live; if you love, live and breathe the vibrancy of Indian prints and influences, you will find a little bit of yourself in our collection. Our collection is predominantly contemporary, but it delves deep into our rich heritage of colours, textures , prints and embroideries to combine them and create an international appeal. 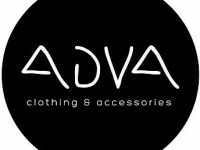 The "ADVA" product line comprises of women’s designer wear, women's contemporary clothing, indo-western clothing and contemporary accessories etc. We also customize products according to the clients needs. We look to satisfy your craving of fashion's latest trends with its simple and trendy creations. It seeks to express its beauty of simplicity through craft and clothing. DVAA comprises a product range of modern western wear women’s clothing and accessories. ADVA is a fashion brand which focuses to create functional wear for modern woman in India and all around. Any woman wherever in the world who loves, lives and breathes the vibrancy of Indian prints and influences will find a little bit of herself in our collection. It is predominantly contemporary and delves deep into our rich heritage of colours, textures , prints and embroideries to combine them to create international appeal. On the contrary "DVAA" is a sub brand under ADVA which deals only with western wear and makes sense for people who admire and welcome radical ideas. "DVAA"will comprise of handcrafted women's western clothing using high quality natural fabrics and intense detailing. "DVAA" will satisfy the craving of fashion's latest trends by its simple and trendy creations. "DVAA" seeks to express it's beauty of simplicity through craft and clothing. "DVAA" comprises a product range of modern western wear women’s clothing and accessories. returns accepted within a week from the delivered date.